Real Estate Tip of the Week: Hello from the Other Side – Alliance Title & Escrow Corp. While Adele can get away with calling a thousand times…as a real estate agent, you probably can’t. 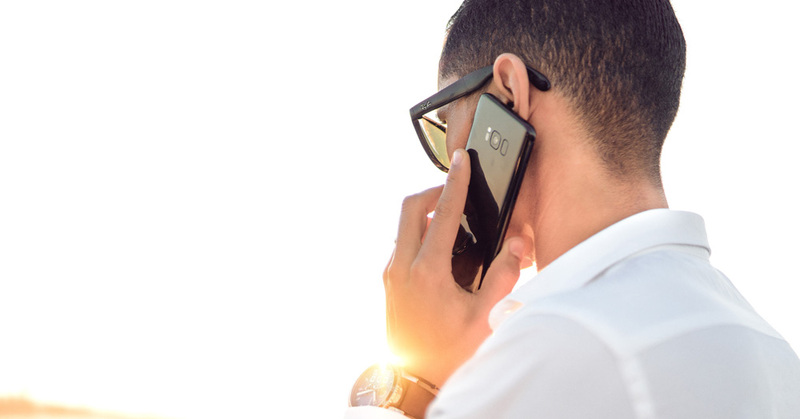 We all may panic a little when we see our phone ringing – especially if it’s your great aunt calling – but prospecting on the phone can still be a great way to garner clients. Maybe just use a more modern script and have a clearer vision of what you have in mind. What makes calling potential clients so scary is the idea of you interrupting their day; the goal of calling should be allowing clients to come to you at their convenience. How do we set that up? For starters, do NOT call cold. This is almost never received well. The only time you should “call cold” is when you’ve had some sort of introduction – calling a friend of your client after your client gave you their information, as an example. Instead, think about setting up a sign-up sheet with the option to leave an email address at your next open house. After the event, email those who left their information! Thank them for attending your open house and let them know you’ll be calling them. Those that will want to talk to you will answer. Those that don’t, won’t. When you are on the phone, don’t jump into the sale. Understand the aspirations they have in terms of goals for homeownership – then you can come in and talk about what you have to offer. Calling to acquire clients and schedule appointments shouldn’t be intimidating – you just have to know how to approach the call. And – maybe don’t call a thousand times.